Can I Make Money with Uber and Lyft? Yes, Here is How to Make Money with Uber and Lyft. Things you should know before becoming Uber or Lyft driver. I needed something new to pass free time and to make extra money and have decided to try Uber and Lyft. I drove a couple of months with Uber and less with Lyft. In my experience, Lyft had longer waiting time periods but some drivers prefer Lyft and it might be different from one city to another. The expectations to earn good money were high and I was very excited to hit the Los Angeles freeways – hopefully with less traffic as possible, Ha Ha. You are useful for others, you interact with people which some are very smart and interesting. The driving can be lucrative for some and if you have the patience and time you can make some money. 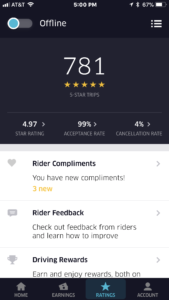 Uber and Lyft advertise much higher rate but they do not take the break times into consideration. However, the money was not as expected and I have made an average of $17.60 (promos not included) before any expense or about $15.40 per hour after gas expense while driving full-time (ware and tare, depreciation etc. are not included). Some surveys show an average of $13.25 per hour. I have heard but did not confirm that Uber drivers in New York City make almost double the national average. Usually, Uber keeps 25-30% of the gross but might take a loss on some “pool rides”. The flexibility to work anytime and as long as I like made the difference for me. In every city, the rates and demands are different and I have heard that In Detroit, they make less. In NY city, the Uber drivers make much more. There are cars like SUV’S or luxury cars that you can make more. The Select category which I am familiar with is 2-3 times higher in pay but in my experience, only 2% of rides are select and usually for short distances. I drive only part time but figured that to gross $50,000 (before any expenses) I will have to drive 55 hours per week every week of the year (not including breaks). After Uber of Lyft commission, fees, and some expenses, I might end up with close to $35000 – $38000. Consult with your accountant as to how you can get deductions such as gas, mileage, ware, and tare etc. You might be allowed to deduct a certain percentage of your gross earning as business expenses. Uber and Lyft are flexible in time and might be a great option for a part-time job. If you are a student, a part-time actor or retiree, this job might be perfect for you. You are considered an independent contractor and not an employee. All expenses are your responsibility including gas, maintenance, insurance, taxes etc. Uber and Lyft will cover you for liability up to one million while you are in “Driver Mode” with passengers. You will need to be covered for collision. You should make your own due diligence which is a must. How to make money with Uber and Lyft? Plus, Stay Happy and Healthy. Watch for promotions. Uber usually sends email messages and post its promotions on the app for weekdays and weekends. Some promotions like get an extra $65 for 22 rides are easy to make and won’t take much time. Some promotions are $85 – $120 for 55 rides which will require you to drive 25-28 hours on a 3-day weekend. Each driver gets different promotions based on his or her driving time. Uber and Lyft will slowly try to have you drive more. Try to concentrate in metropolitan, commercial areas and/or high density of affluent population. Riders with money go to many dinners and use these services. Small cities or rural areas will have much fewer riders and do not expect much business except in special events or weekends. Drive around college campuses. Students around UCLA and UCS take Uber frequently due to the fact that the parking is expensive and many do not own cars. USC even pay Uber and Lyft to take students for free in order to keep them out of the unsafe neighborhoods. If you are planning to drive full-time, buy a used economic car. Do not drive a leased car where you will go over the mileage allowance. 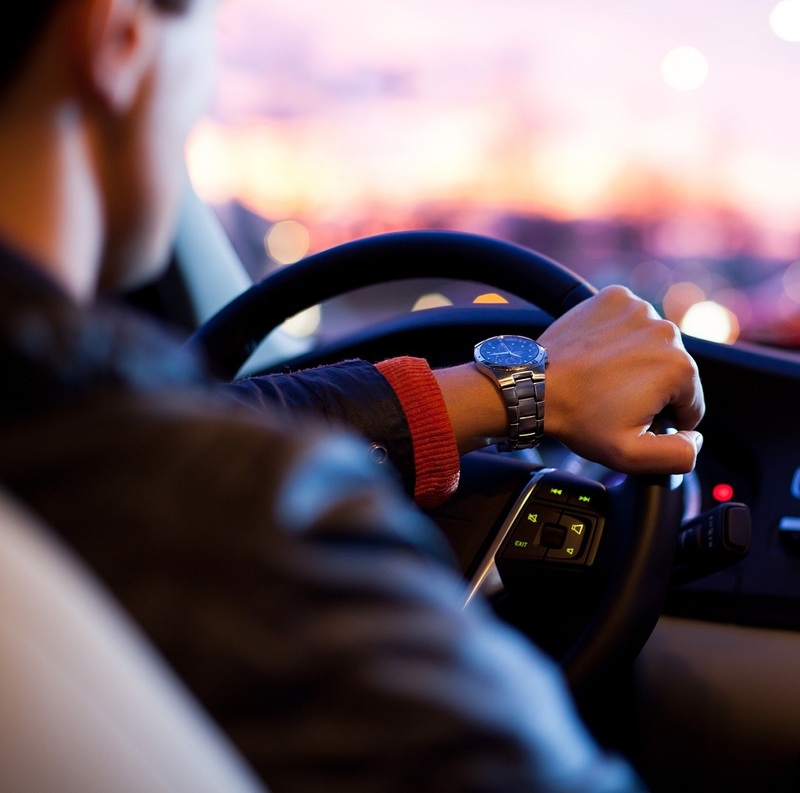 With part-time driving, you might keep the mileage low and a leased car might make sense. At the beginning, you can lease a car from Uber or Lyft as well but it will get expensive for the long term. Stay away from stadiums and large events. Unless you promised a good bonus or much higher rate to drop off or pick up at large events, stay away. There are long traffic lines for drop-offs and pickups and in my opinion, is it a waste of time. You might want to use Uber and Lyft driver apps at the same time. 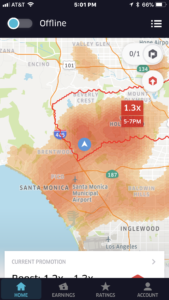 If you live in an area where the wait time for rides is long, drive both Uber and Lyft to minimize your waiting time. Get your airport permit. LAX requires drivers to pass a short questioner in order to pick up riders. The wait and traffic might be longer at the airport but some of my long rides started at the airport. The longer the ride- the better. Get familiar with “peak hours” in your area. Uber and Lyft raise rates based on demand. Usually, rush hours are higher rates, early mornings or late at night. You need to be ready to pick up drunk riders from bars as they might get sick in your car. Uber and Lyft will help with the cleaning fee but I personally stayed away from this crowd due to the fact that they are not predictable and loud. Find a local social group. Many useful tips can be shared with the group that might help you in your job with very useful information. Work-life balance and breaks. You have the flexibility of hours and days so plan ahead. Avoid exhaustion and stop for food or coffee if needed. Do not drive tired and stretch every couple of hours. Some drivers take a walk in the middle of their day in order to keep in shape. Keep your car clean in and out at all times. Make sure riders did not leave anything behind and the car is always clean and neat. You can find an inexpensive self-car wash and go as needed. Keep goodies in the car. Have small water bottles and Kleenex is a must. Offer your riders a water bottle, gum or snack might go a long way. Accept all rides (well, almost all). In order to qualify for a promotion, you need to be in good standing with Uber and Lyft. You should accept all Uber X, Pool and if your car qualified for- Select. You should not accept rides if you do not feel safe or uncomfortable with the area or riders. At the airport, I do not accept pool rides. Multiple riders come with multiple luggage’s and you might have to refuse some and waste time (not to mention an unhappy rider, who has to wait). Be a “people person” as much as you can. Always greet your riders when they come in or leave the car, be polite, make a conversation if the rider is for it. Not all riders like to talk and they might be in their own world, Respect their wishes. Leave your problems and bad attitude at home. Go out of your way to help- if a rider needs help with a luggage make sure to be available. Be Respectful to ALL riders. Drive safely. Do not listen to riders who ask you to make illegal u-turns or shortcuts. Always use your judgment and make sure you and your riders are safe. It is not worth to get a ticket or get into an accident just to satisfy a rider. Be firm and explain to the rider that you cannot afford a ticket and he or she will understand. Important- Get the best feedback. Make sure you are the best as you can be. Most people will leave feedback only with it is a negative experience and you want to make sure your feedback is as close to 100% positive. Some riders mentioned they prefer only drivers with excellent feedback. Generally, it is not polite to ask for feedback but if the ride was as expected and you just started to drive, ASK for good feedback in a polite way. ie, I am new to Uber and trying to build my feedback. Or, tell the rider he is a 10-star rider and he will understand the message. Tips. Most riders do not leave tips but you never know when you’ll get a great tip. I have gotten tips from as low as $2 and as much as $20 for a $35 and $105 rides when I had a great conversation with the riders. Promote Uber and Lyft. After you will join Uber and/or Lyft, you will be provided with a code. When you recommend other drivers you will get $300 – $500. You can promote on Facebook or another social program, create a web page or just talk to friends. As of today, signing and Driving Lyft will get you a bonus after you complete a certain number of rides in specific amount days. Please note that promos might change without notice. As you can see from the screenshots of the Uber driver’s app on the left I maintain a very good feedback rating with very few cancellations. The screen on the right shows where you get higher rates. The surge rate shown is minimum 1.3x but when the red is darker the rate goes higher (when I enlarged the screen- 2.2x). 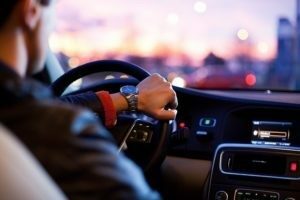 The bottom line is that you can make some money and at your own time but the Uber and Lyft commission, fees, car expenses, and mileage are much greater than most drivers anticipate. In my opinion, if you want or need the flexibility this is a good option. If you need money to survive until you’ll find and a good paying job, work part-time to make extra, students, actors and retirees. Do not think of it as a lifetime career that will support you for life. Especially with the technology of autonomous cars that you will see on the streets soon.